In today’s competitive market for contract talent, having fully engaged staffing suppliers is critical in helping HR professionals and buyers provide a competitive advantage for their organization. In fact, businesses focused on supplier relationship management (SRM) lead their peers five to one in terms of value derived from their supply base according to BravoSolution, a leading global procurement organization. On the other hand, studies have shown that poor relationships or disengaged suppliers have cost clients in some industries billions of dollars. What’s the “secret sauce” that drives supplier engagement? At eTeam, we believe that engagement starts at the top. In our experience, executive involvement in strategic client relationships creates internal focus and encourages account managers and recruiters to go above and beyond the required service levels. Here’s a look at how engaged staffing executives help build valuable relationships that benefit all parties. The handoff between sales and operations in the staffing industry is known for fumbles, drops and miscommunications, often leaving new clients in the lurch. We find that involving staffing leaders in the onboarding process saves time and prevents headaches by ensuring a smooth transition for everyone. For example, when our heads of accounting, HR and operations take part in eliciting the service requirements for a new client, they are able to eliminate mistakes in payroll and billing from the outset and ensure consistent practices when it comes to recruiting, contractor screening and execution. Our department heads work with you and your line managers to create a customized service manual. The guidebook serves as a go-to resource that helps our entire staff meet specific requirements for sourcing and placing contingent workers. And because it puts all of the necessary information in a single place, it means fewer problems, less down time and reduces the need to keep asking redundant questions. Plus, when staffing executives lend their skills and expertise to the onboarding process it harnesses the enthusiasm of employees. Thanks to their high-level view, senior leaders are able to provide clear direction and explain how procuring top notch talent links with a client’s overall business strategy. Engaged staffing executives provide other benefits as well. For example, they can help establish strategic alignment with clients by promoting shared objectives, interests and values and by demonstrating support for corporate social responsibility (CSR) initiatives. Actually, studies show that having a C-level sponsor is a key requirement for success when it comes to managing major change initiatives such as bringing new clients into the fold. The data also suggests that execs are more willing to offer support and resources when they feel personally invested in their team’s success. When directors and staffing firm owners participate in regular reviews of client KPIs and scorecards, they foster accountability and inspire their team to exceed its goals. Best of all, experienced staffing leaders have the expertise to provide proactive trend analysis that can identify and resolve looming talent shortages or other potential problems before they affect HR or line managers. They turn their knowledge into action and demonstrate their interest in developing a long-term relationship by investing time and effort. Tracking progress on key deliverables also gives executives a prime opportunity to support the account manager’s activities, since he or she is typically responsible for maintaining the firm’s relationships with a key client. Executive sponsors are instrumental in providing a rapid response and single point of contact as needed to resolve client complaints, concerns or issues. Having executive involvement in quarterly reviews or annual meetings illustrates the importance of the client relationship. 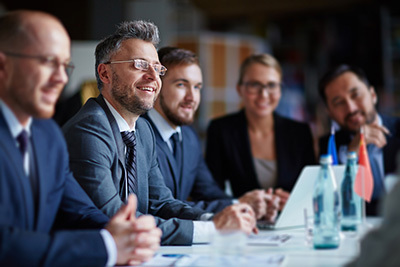 There, executives can gain a deeper understanding of strategic issues, business priorities and legal and regulatory changes that impact current and future staffing requirements. The bottom line is that engaging with staffing suppliers at an executive level creates more value for clients through positive supplier relationship management.